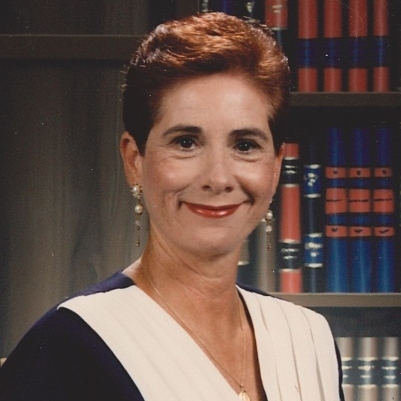 Irma Fabela, age 76, passed away peacefully on March 22, 2019. She was born on January 11, 1943 to Robert and Zulema Quinones in Corpus Christi, Texas where she was raised and resided for her entire life. Irma graduated from Roy Miller High School in 1961 where she met the love of her life, Federico. She and her husband of 54 years were married on June 4, 1961. Irma worked as a Paraprofessional in several special needs classrooms within Corpus Christi Independent School District. She was a loving mother, sister, aunt, grandmother, and friend. She enjoyed spending her time at her church, Most Precious Blood, reading her devotionals, and traveling the world. She will always be remembered for her unique sense of style, gracious heart, devotion to the Lord, and beautiful smile. Irma is preceded in death by her parents, Robert and Zulema Quinones, her husband Freddie, and her sister Lupe. She is survived by her daughters, Anna, Celina, Clarrissa and her husband Zachary; three grandchildren, Alicia, Jessica, and Lauren; sisters, Pearl and Bertha, brother, Robert Jr., numerous nieces, nephews, and of course, her sweet dog Bella. Visitation will be held from 5:00 p.m. to 7:00 p.m. on March 26, 2019 at Seaside Funeral Home Chapel. A rosary will be recited at 7:00 p.m. that same evening. A funeral mass will be held at 11:30 a.m. on March 27, 2019 at Most Precious Blood Catholic Church. Interment to follow at Seaside Memorial Park. She may be gone from this Earth, but she will never leave our hearts.